You can learn a lot more about Ms. Allen (pictured) at the IBM Archives. It’s noteworthy that Ms. Allen is the first woman to be honored with the ACM Turing Award, and has indeed been heaped with many professional “firsts,” including being the first woman named an IBM Fellow. Ms. Allen even has an IBM award named after her, the “Frances E. Allen Women in Technology Mentoring Award,” of which she was the first recipient. She also received the first Anita Borg Award for Technical Leadership in 2004. Technologically, her groundbreaking work was in compiler optimization and in cryptography. Ms. Allen retired from IBM in 2002.
t’s a shame that it’s taken 40 years to recognize the first woman for the most prestigious award in computing, but historically there have been few women at the highest levels of our profession. 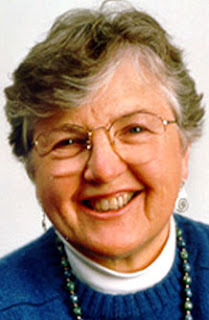 Not only was Fran Allen the right person to win the ACM Turing Award, but perhaps this honor will inspire more young women to enter the fields of computer science and software engineering. Their talents, like Allen’s, are both needed and appreciated. http://alanzeichick.com/wp-content/uploads/alan-zeichick-logo.png 0 0 Alan Zeichick http://alanzeichick.com/wp-content/uploads/alan-zeichick-logo.png Alan Zeichick2007-02-22 21:02:002016-06-15 17:13:34Congratulations, Fran Allen!